WASHINGTON (AP) — The Air Force general who was fired from command of U.S. land-based nuclear missile forces had engaged in "inappropriate behavior" while on official business in Russia last summer, including heavy drinking, rudeness to his hosts and associating with "suspect" women, according to an investigation report released Thursday. The events that led to the dismissal took place while Maj. Gen. Michael Carey was in Russia in July as head of a U.S. government delegation to a nuclear security training exercise. 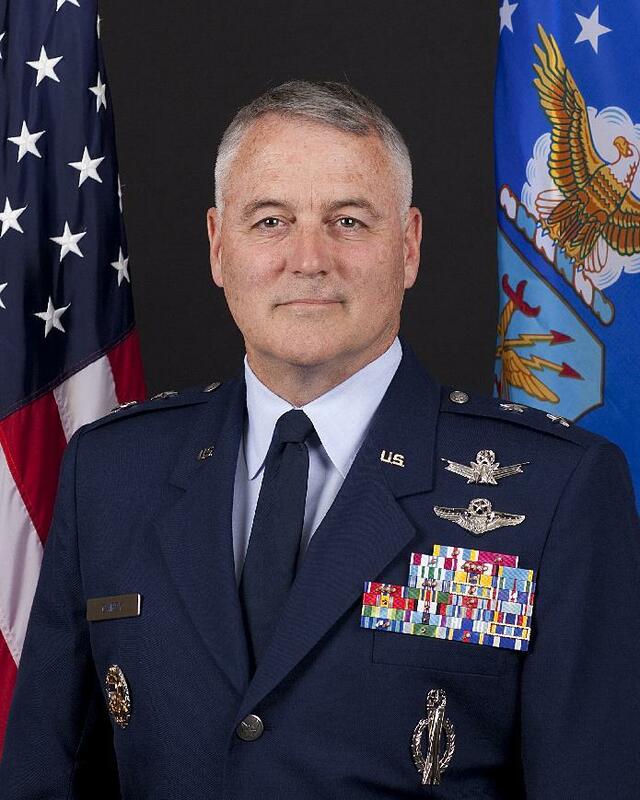 At the time, he was commander of the 20th Air Force, responsible for all 450 of the Air Force's Minuteman 3 intercontinental ballistic missiles stationed in five U.S. states. When Carey was relieved of command in October, the Air Force said he had engaged in unspecified misbehavior while on a business trip, but it did not say the episode was in Russia, nor did it indicate the specific allegations against him. Carey's firing was one of several setbacks for the nuclear force this year. The Associated Press has documented serious security lapses and complaints of low morale and "rot" within the force, as well as an independent assessment of "burnout" among a sampling of nuclear missile launch officers and security forces. After the Russia trip, a member of the delegation lodged a complaint about Carey's behavior. That person, described as a female staff member in the Office of the Secretary of Defense, asserted to investigators that on the delegation's first night in Moscow, July 15, Carey was drinking and speaking loudly in a hotel lounge about how he is "saving the world" and that his forces suffer from low morale. The investigators said Carey, whom they interviewed at length on Sept. 4, seemed to forget substantial portions of what happened in Russia. The report also said that at times he clammed up or gave testimony at odds with others in the delegation. "Maj. Gen. Carey was generally less credible than the other witnesses," the report said, adding that at times he was flippant and refused to answer certain questions. "Gen. Carey either had a poor recall of significant events, perhaps due to his alcohol consumption, or was untruthful during the interview," the report said. After interviews with seven delegation members, the investigators concluded that Carey "engaged in inappropriate behavior" that amounted to "conduct unbecoming of an officer and a gentleman," as defined in the Uniform Code of Military Justice. In response to the investigators' report, Carey received what the Air Force calls a "letter of counseling." That's a form of discipline for noncriminal misbehavior. In response to an AP request, the Air Force said Carey was not commenting on the investigation report. After he was relieved of duty in October, Carey was reassigned as special assistant to the commander of Air Force Space Command, where he has no responsibility for nuclear weapons. He remains in that post. The Air Force has commented only once about the Carey case since his firing was announced Oct. 11. In mid-November, the Air Force chief of staff, Gen. Mark Welsh, told a group of reporters that Carey had stumbled in a way that could not be tolerated, despite Carey's long career and his record of accomplishment. Welsh said Carey told him, "I've embarrassed myself, my Air Force, I'm sorry." Welsh said the Air Force would "add more vigor" to its screening of candidates for senior nuclear command. He said health records, for example, would be examined more carefully and Internet searches would be conducted for potentially damaging personal information. The Air Force investigation report said Carey was "frequently rude to both his fellow delegates and to his Russian hosts" while attending a two-day nuclear security training exercise at the Abramovo Counterterrorism Training Center in Sergiev Posad. At a Russian-hosted lunch banquet on the first day of the nuclear security exercise, Carey gave a toast that included unspecified comments about Edward Snowden, the National Security Agency leaker who was in Russia at the time but had not yet been granted asylum. Moscow refused U.S. requests that he be returned to the U.S. The report said Carey's remarks were "not well received" by his Russian hosts. The report also cited Carey for associating with Russian or other non-American women, who may have posed a potential security threat. "Maj. Gen. Carey engaged in inappropriate or improper behavior when he chose to meet up with and continued to associate with the foreign national women ... especially given his own acknowledgement that the women were suspect," the report said. A report footnote said Carey told the Air Force investigator that he "had concerns" about the two women he and another member of the U.S. delegation met at the Ritz Carlton hotel on their first night in Moscow, and that upon his return to the United States he gave the women's business cards to the Air Force Office of Special Investigation. It said Carey sat with the same two women at a restaurant/bar the second night in Moscow and danced with one of them. The female delegation member who initially complained about Carey was quoted by the investigator as reporting that Carey had said in front of others that the airmen in 20th Air Force "have the worst morale of any airmen in the Air Force," and that Carey's superior officers were not helping him solve that problem. Asked about this, Carey told the investigator that he did not remember saying his superiors were not supporting him and that he recently had reported to the Air Force's top officer, Gen. Mark Welsh, that morale in his organization was "solid."